The Tripura government had withdrawn the eighteen-year-old AFSPA from the state with immediate effect, said chief minister Manik Sarkar. 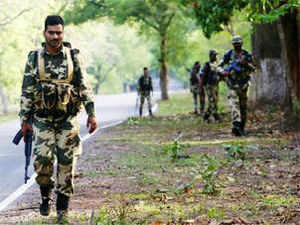 Agartala, May 28 : The Tripura cabinet withdrew the Armed Forces (Special Powers) Act (AFSPA) in a state cabinet meeting on Wednesday. The present six-month term of the Act will expire this month. The Tripura government had withdrawn the eighteen-year-old AFSPA from the state with immediate effect, said chief minister Manik Sarkar. "Insurgency has come down to near zero in the state. The demand for withdrawing AFSPA had been made at various levels. But we could not take the final decision as the security forces did not give the final go ahead," the CM added. AFSPA was promulgated in the state on February 16, 1997, owing to the relentless violence and bloodshed during the period. Following the provisions of the Act, it was reviewed and extended every six months for the past 18 years. "Recently, when the proposal of further extension of AFSPA came up for discussion to the state government, we sought report from all concerned departments about the law and order and the militant's movement and activities. Finally, the security agencies have agreed to the proposal of withdrawing the Act," the CM said. Initially, AFSPA was imposed across two-thirds of the police station areas in the state but gradually its extent was reduced with improving situation. At present, AFSPA is operational fully in 26 police station areas and partially in four police station areas out of 74 police stations and 36 outposts of Tripura. "There has been a qualitative change in the law and order and the state is witnessing development. Peace loving people do not want violence anymore and rather look forward to all round development on a par with the rest of the country. We reviewed and found out that AFSPA need not be extended further," he added. With the Act's withdrawal, the people of the state can freely travel on National Highway 44 till 12 midnight, which till recently was allowed till 10pm, the CM said. On the issue of repatriation of Bru inmates from six camps of North Tripura to Mizoram, the CM maintained that the Centre had made several attempts to send them back to their homeland, but the Nagaland government was against it and even a section of self-styled Bru leaders had prevented it. "The ministry of home affairs has initiated the process, following the apex court's direction, to repatriate them to Mizoram for their secure future. We are hoping that the Mizoram government, too, will cooperate in the process and ensure their safety and other basic needs," he said.